This weekend, in our part of the state, was “Mid-Winter break” which, essentially is a week (or long weekend in our case) off of school to (hopefully) help rid schools of the endless cycle of colds and the flu. That meant that I had a 5 day weekend (opposed to my usual 3!) The first day of my break, was spent helping a good friend, who, conveniently enough, shares the same name as me, though she spells it differently. She and I have been working really hard helping piece together the plans for her wedding this spring. 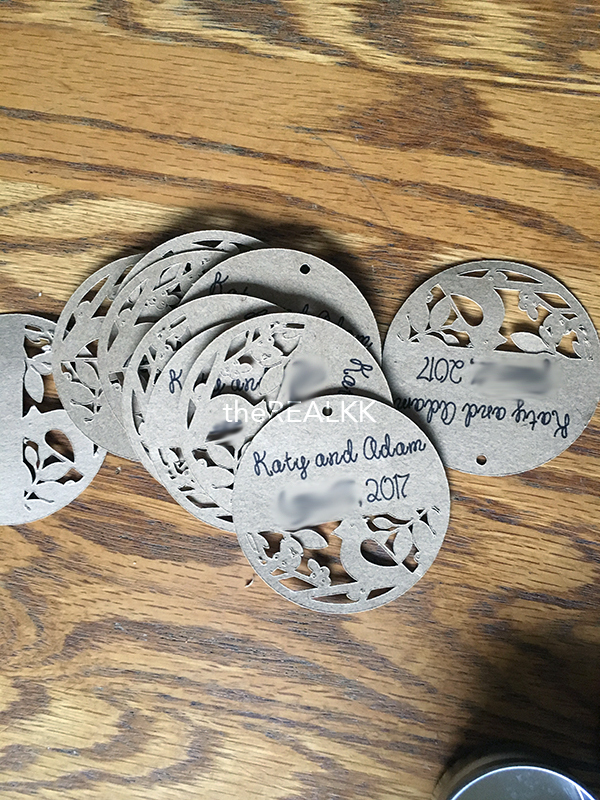 About a week ago, we went out and casually scoped out Hobby Lobby, and a few other stores just to see if there was anything we could get for their wedding. 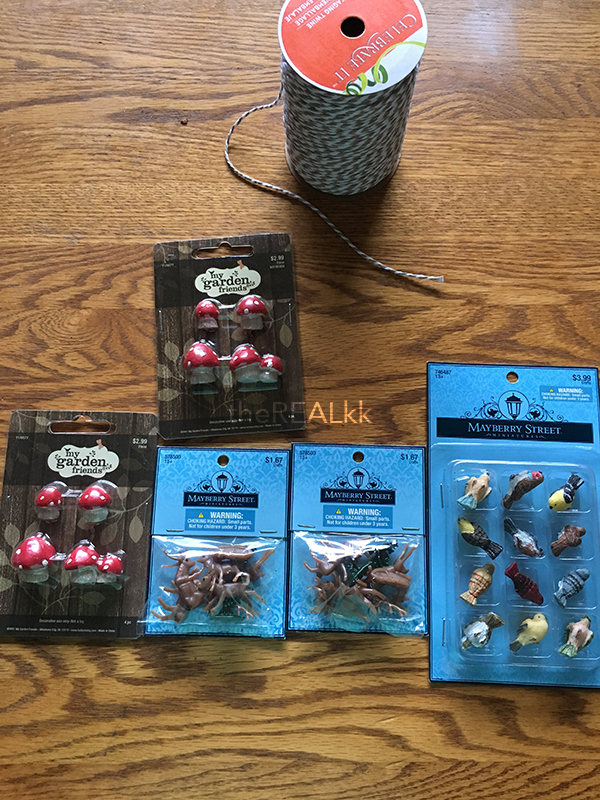 We ended up finding more than we had expected! 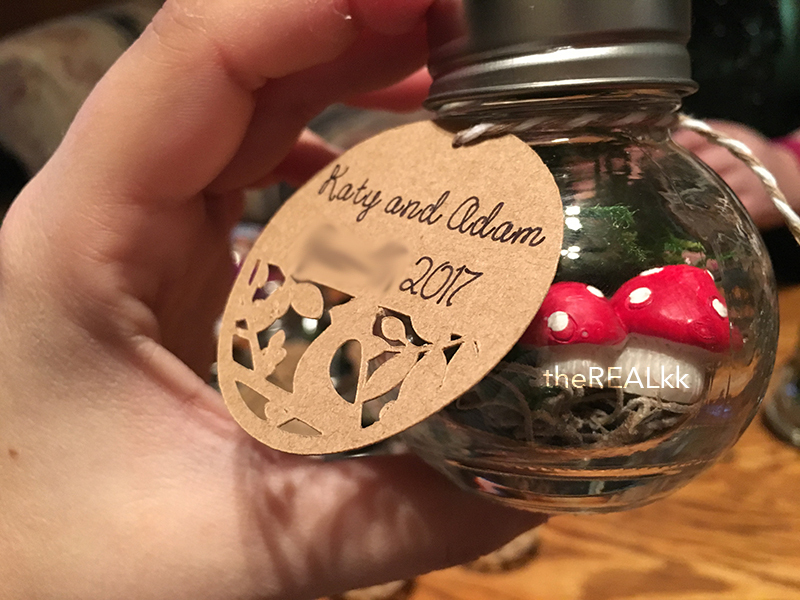 We found these adorable little bottles for her wedding favors! 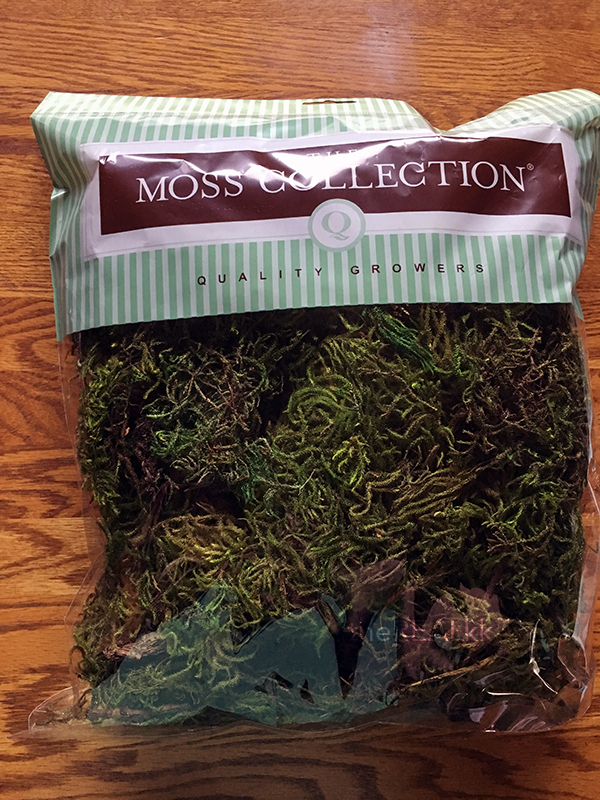 Moss, we bought this one, and this one. Remove price tags from bottles (if applicable) – To do this, soak them in warm soapy water. To dry, we used a couple hair dryers, but you could also let them air dry. Once all the bottles are dry, put them out on your work surface. Then fill one by one with about 1 tablespoon of sand. 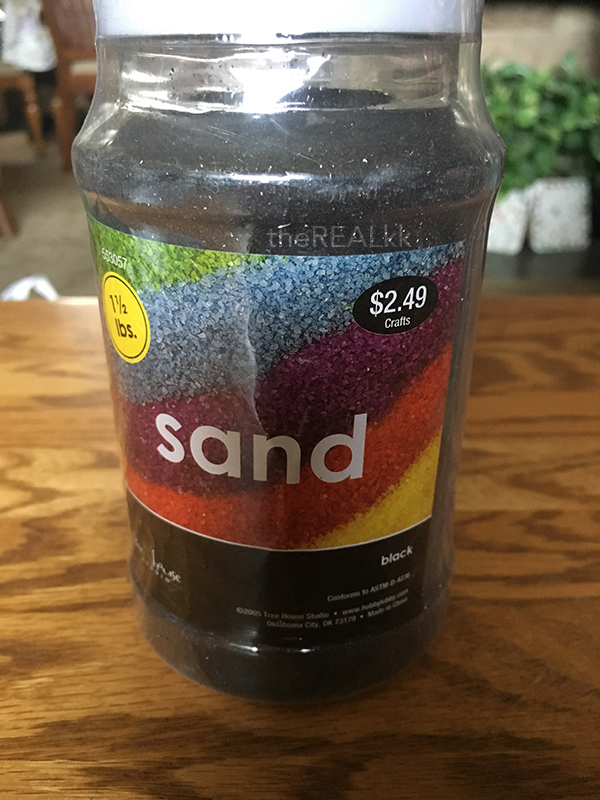 The container of sand we purchased filled 35 of our bottles. 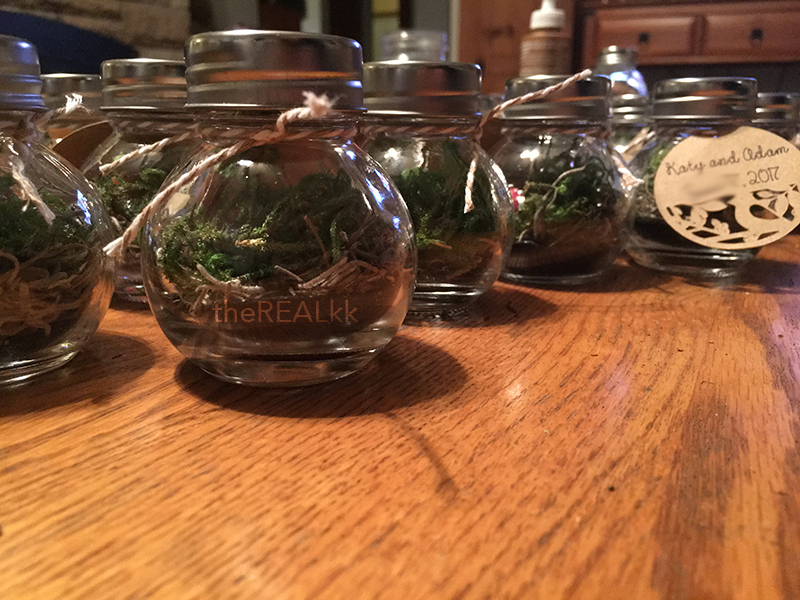 Cut your Spanish moss into small pieces, and place them inside each bottle. 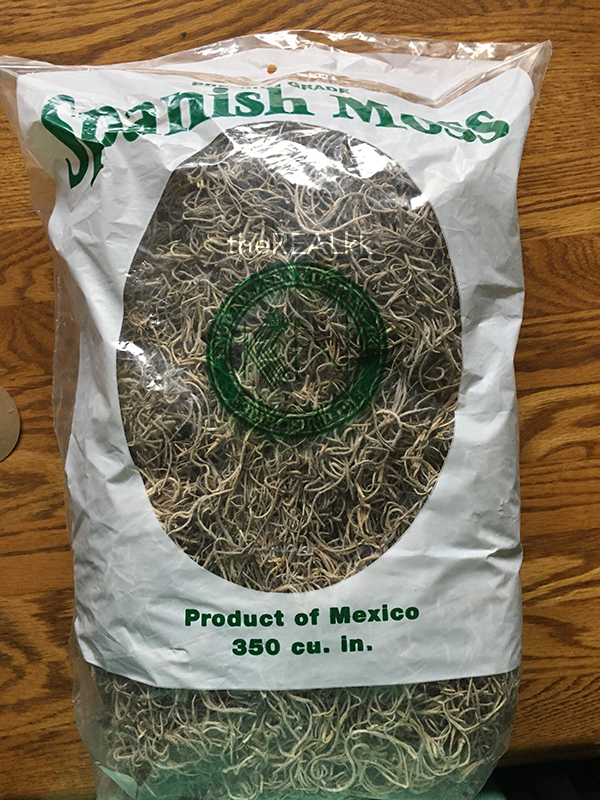 If you’re using the Spanish moss, remember to cut it first, we learned that the hard way. 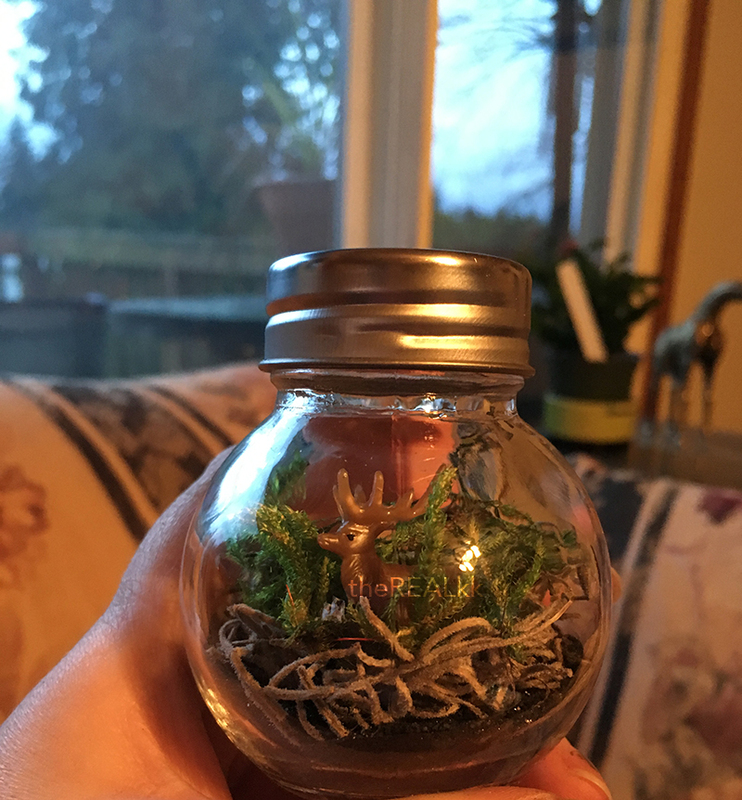 Tear off a small piece of the other moss, and place inside the bottle on top of the Spanish moss. I made sure you could see the Spanish moss underneath the green moss. Figurines. 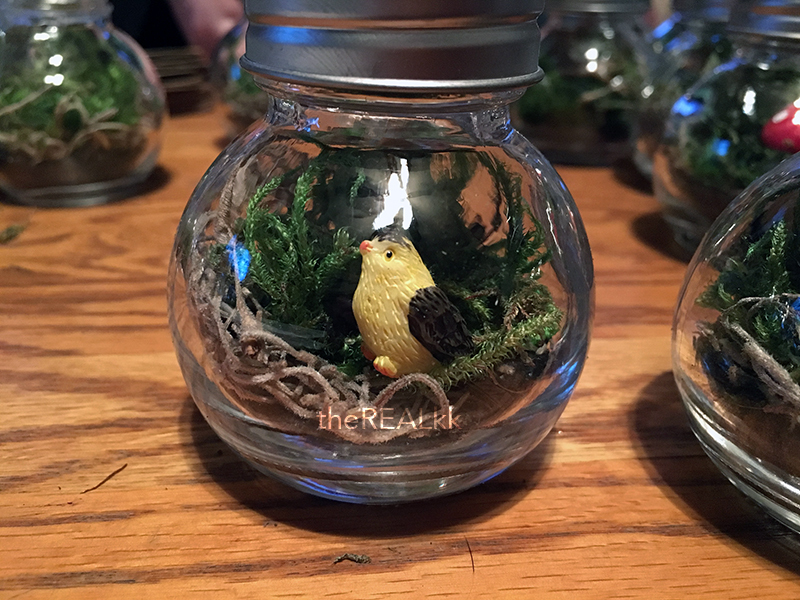 We sorted ours first, and planned out how we were going to place them in each bottle. My friend grabbed some tweezers to easily place them in the bottles. We ended up sticking some glue on the bottom of a couple to keep them in place. 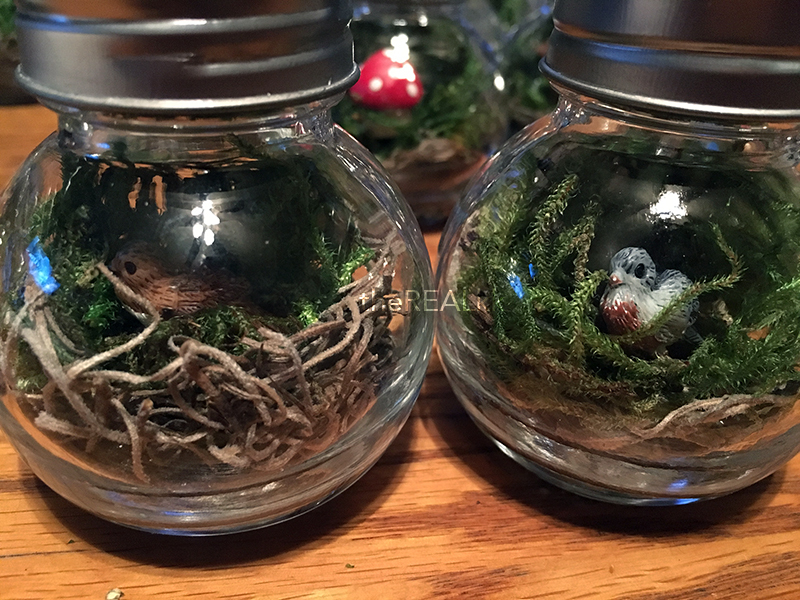 Put lids on each bottle, and use some twine to attach a tag. 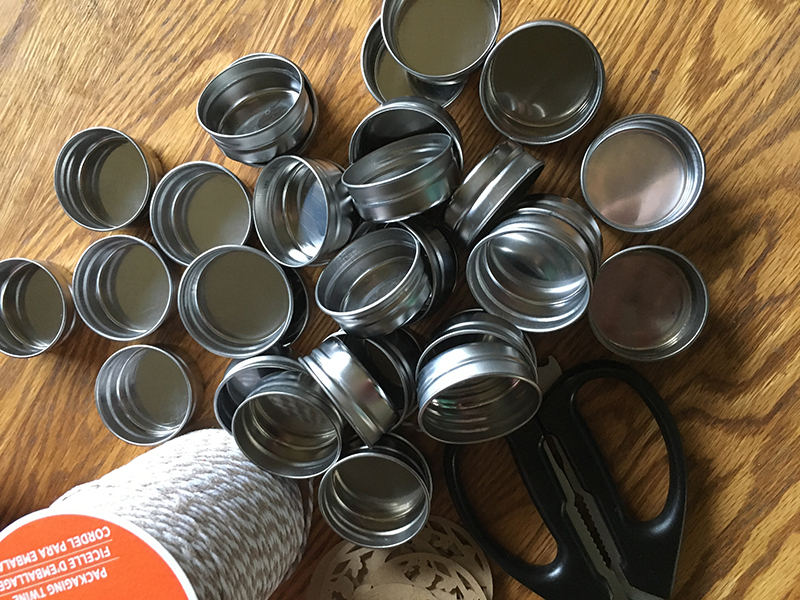 All the lids, with our scissors and twine. 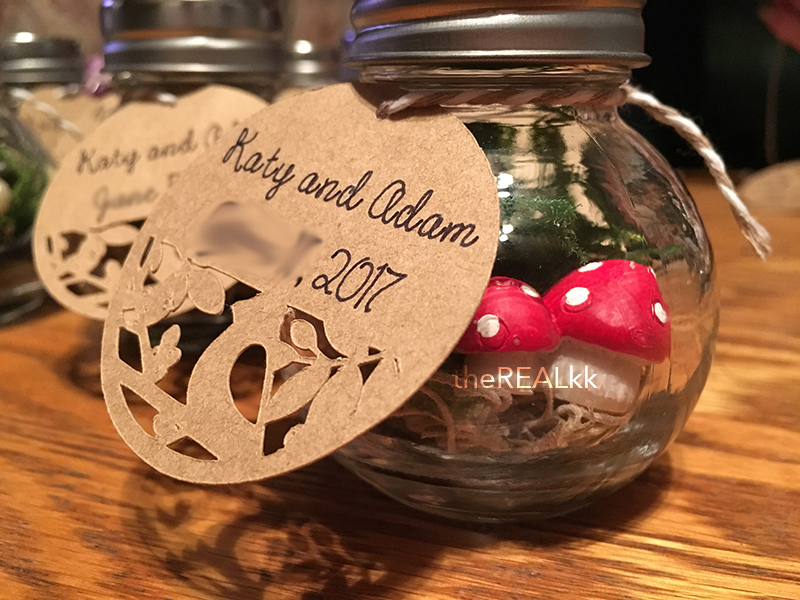 I made the tags for this gift using my trusty cricut. 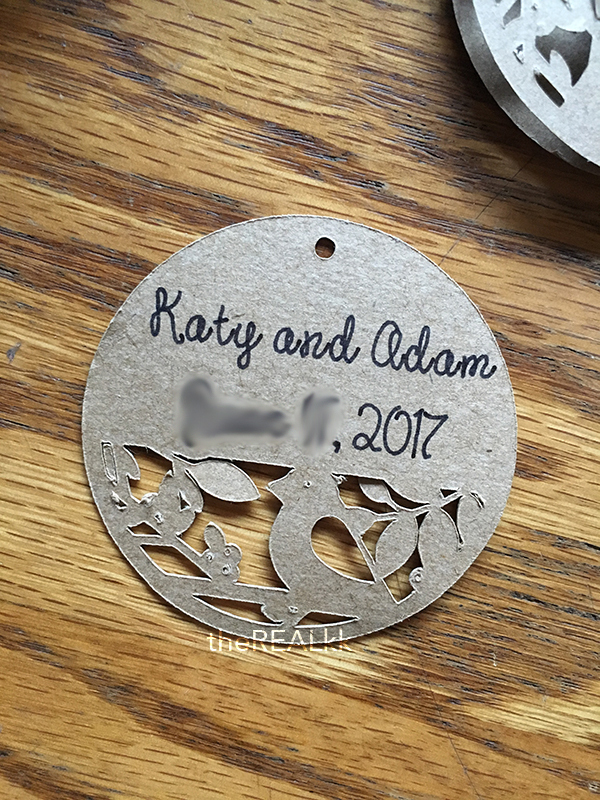 These were custom made, but there are plenty of options out there on the cricut website, and even pinterest. 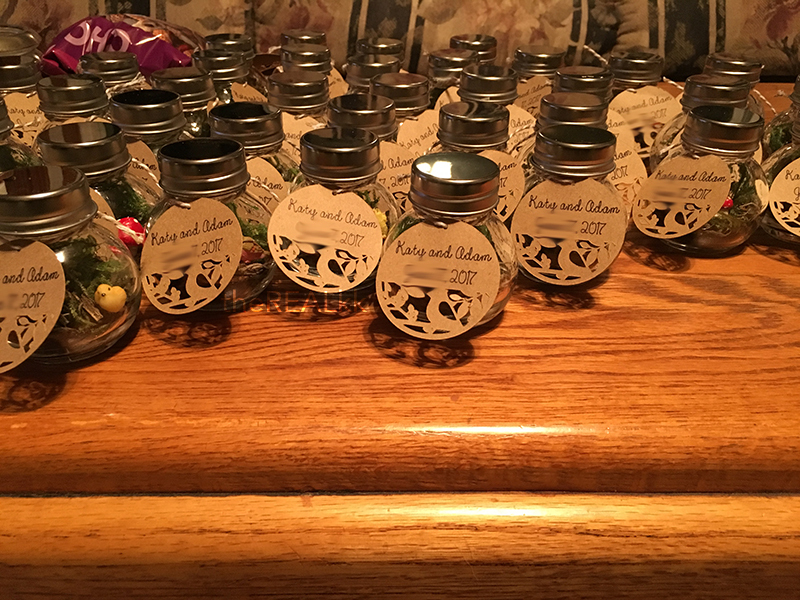 I suggest making something that fits the vibe for the wedding/event, but also goes with the bottles well. 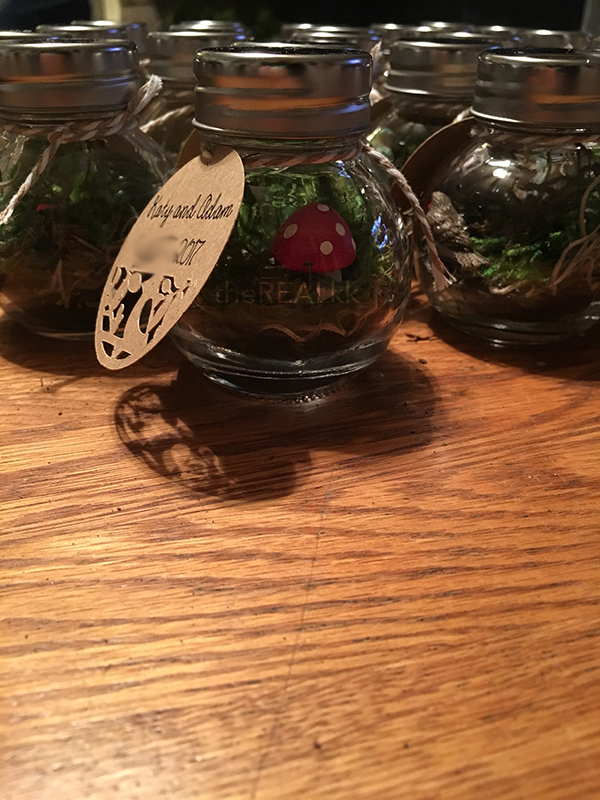 Here are some more photos of the finished product!